We won! 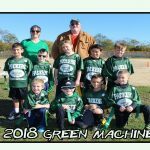 Tarzan Tree Removal is excited to announce that not only are we Brooklyn’s Finest tree service company, we are the Best of Brooklyn Winner 2019. Being a nominated a few months ago was exciting. So the fact that we won against companies that have been in business for over decades (we are going into our third year) is a real accomplishment. It is competitive in New York City, especially for a small business with a niche like our, and we try endlessly to make a lasting positive impression on our clients. And this award just proves to us that we have been successful so far. 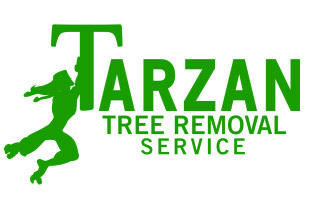 At Tarzan Tree Removal we like to take an extra moment to share a few minutes of our time with our clients and sometimes even more. New York City is also very fast paced place to live. Everyone is in a rush from go to point A to point B. From working to eating and almost feels like you’re being pushed from one place to the next. Which is why we make it a point to get to know our clients a step further than the tree removal and make the relationship more personal. Best of Brooklyn Winner 2019. Thanks to all our amazing customers for making us the top tree company in Brooklyn! A tree removal job can be exciting for those watching, as it has a certain thrill and danger to it. Most of the time the homeowner and neighbors end up watching when a tree removal is happening, as it can be exciting and sort of thrilling. Especially in Brooklyn, where there is little room in most backyards, as most are attached homes with no access besides threw the home. Sometimes we even end up being offered food or even a barbecue. Other times owners have tipped our crew just for the job we did. We look forward to 2019 and continuing to build relationships. For any tree service questions, please call 347-833-5862!